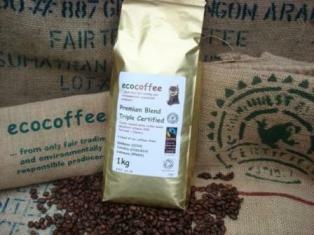 Rates vary from about £3.30 per packet depending on the certifications and origin. Our pricing is shown in more detail when you go into the product page through the links below. 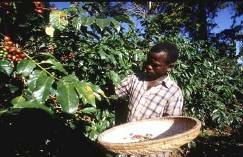 Pricing is the same for whole beans or ground coffee. Minimum order is one case (12 packets of 227g). Delivery is normally made within 7-10 days of your order. We can supply point of sale information in association with larger regular orders if required. 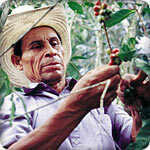 Our customer feedback is that this information about the particular producers creates a real interest in the coffee. You can order on-line below or call us on 01342 833723, or send an email to orders@ecocoffee.co.uk setting out your requirements. If you want to see more information on the origins and tasting notes for the individual coffees, see the "Coffee Beans 6x1000g" product pages via the top left tab above.